This Friday 23th it’s St. John’s Day! 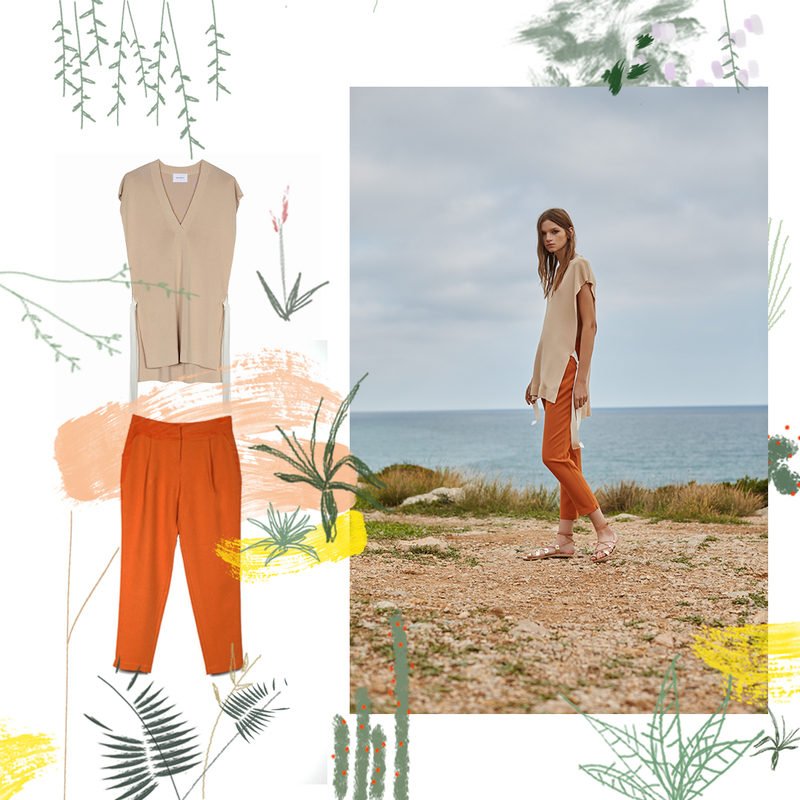 Wear Sita Murt to impress your family and friends with your look. We suggest you here 3 amazing outfits to give a feminine and chic touch to your styling. You will look beautiful! Knit poncho in 100% rayon viscose very loose and with a big side slit fasten by a bow in contrast made by the same material. Available in-stores and eShop. Long pleated pants in crepe fabric with pockets and small side openings at the bottoms. Available only in-stores. Double-layered sleeveless V-neckline midi dress, ribbons on the waist and side openings. Available in-stores and eShop. Short sleeved blouse in viscose and lurex with frills and front key-hole detail at neckline. Available in-stores and eShop. 100% linen long pants with elastic waistband and side details in lurex. Available in-stores and eShop.